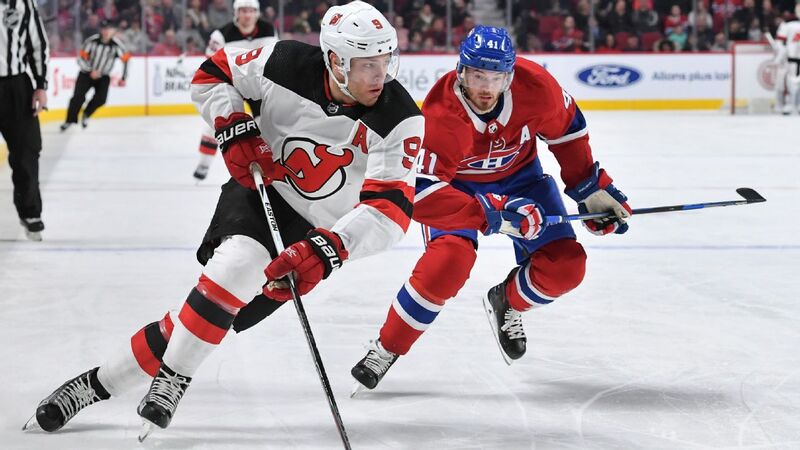 Hall, 26, was sixth in the NHL in scoring with 93 points (39 goals, 54 points) in his second season with the Devils, who have had only one previous MVP finalist -- goalie Martin Brodeur -- but never a winner. The 41-point differential between Hall and the next-highest-scoring Devil, Nico Hischier (52), was the biggest gap in the league since 2007-08 (Washington's Alex Ovechkin 112, Nicklas Backstrom 69). Kopitar, a first-time nominee, set career highs in goals (35), assists (57) and points (92) while finishing tied for seventh in the league in scoring. Kopitar, 30, is also a finalist for this season's Selke Trophy as the league's best defensive forward. Wayne Gretzky (1989) is the the only King to have won the Hart Trophy. MacKinnon's 97-point season helped lead the Avalanche to a 47-point improvement in the standings, the fourth-highest year-to-year gain in NHL history. MacKinnon, 22, previously won the Calder Trophy as the league's top rookie. He would be the third player in franchise history to win the Hart, along with Joe Sakic (2001) and Peter Forsberg (2003). The winner, based on voting by the Pro Hockey Writers Association, will be announced June 20 at the NHL Awards event in Las Vegas.